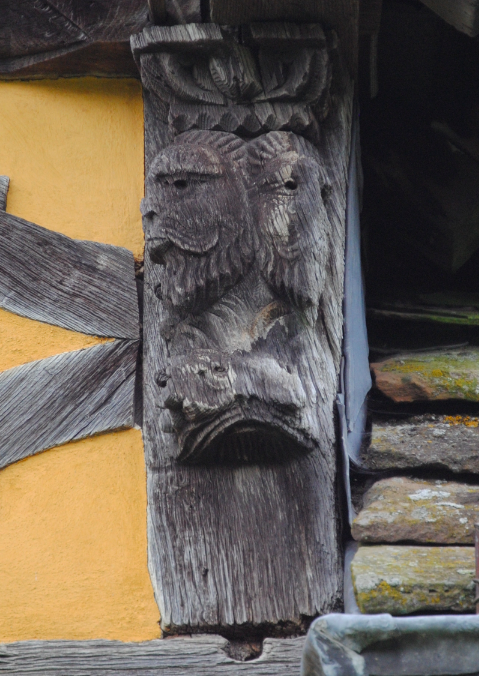 Early medieval houses tended to have halls of aisled construction but gradually the obstructive posts were omitted resulting in a magnificent building type. 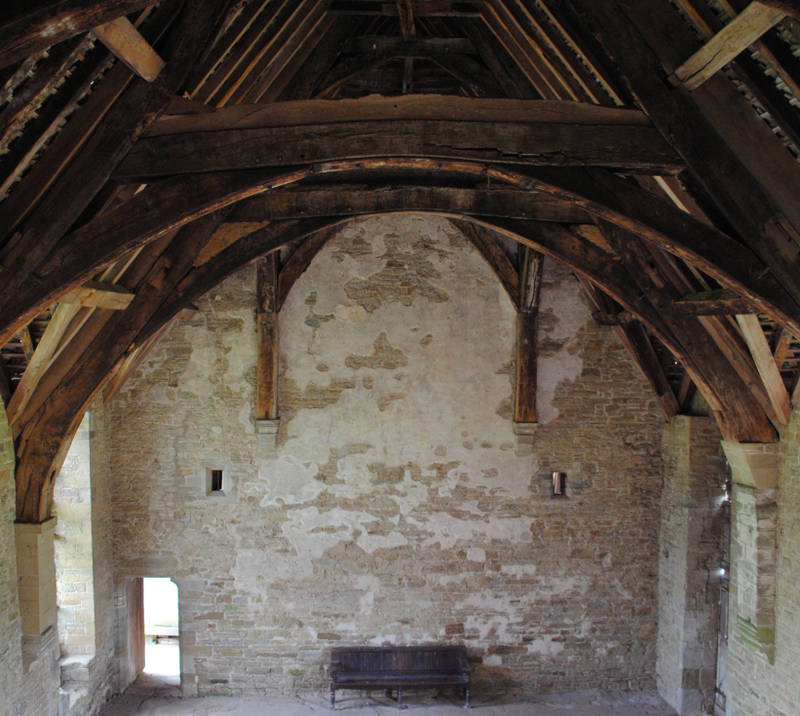 The 13th century carpenters were experimenting in methods which would obviate the need for aisle posts and the cruck form of roof construction, which transferred the weight of the roof to the walls, eventually made them unnecessary. 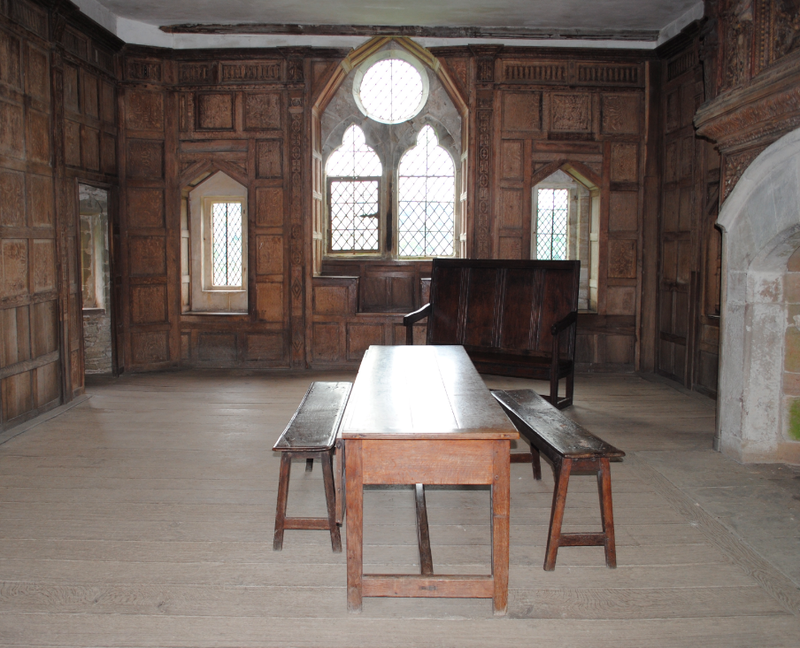 There is no evidence that the hall at Stokesay ever had aisles but there was likely to have been a screen across it. 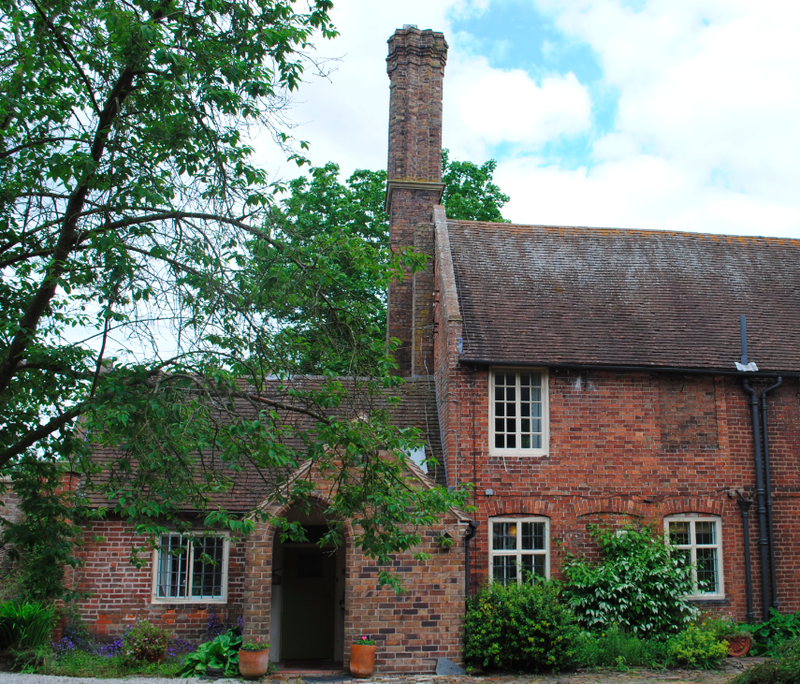 Reducing the size of the hall when it was used for its principle function, a wooden screen would have provided shelter from the draughts from the screens passage which led to the service rooms – the buttery, pantry and kitchen (Friar, 2003). 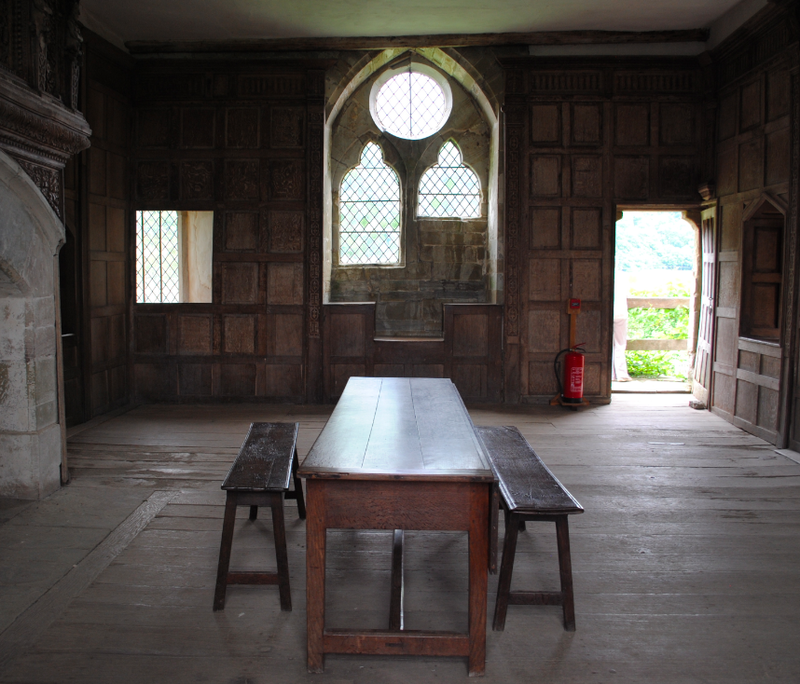 The hall in a medieval castle or manor house, such as Stokesay, was the nucleus of an estate and considered the most important room in a dwelling. 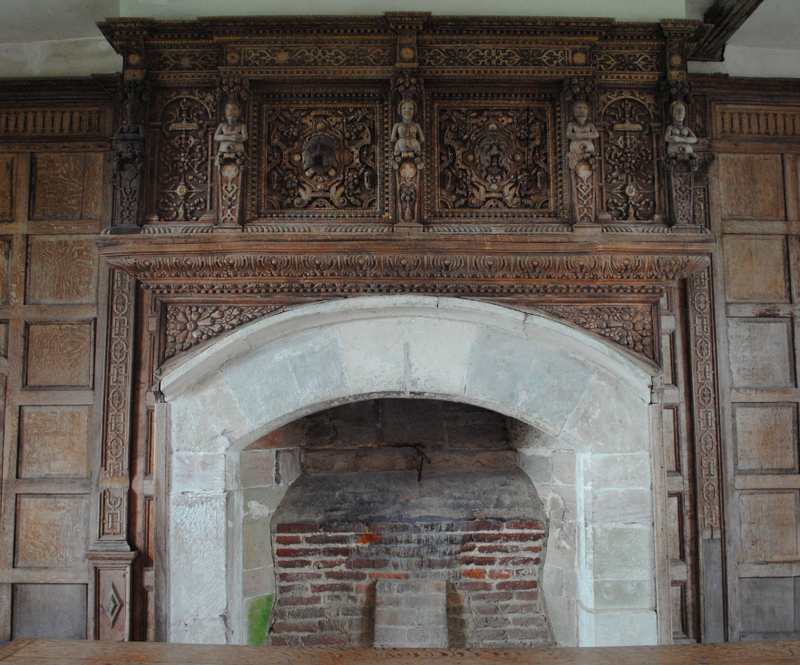 The walls of the hall would have been plastered and whitened and some of the original plasterwork can be seen on the north and south walls at Stokesay (see above). 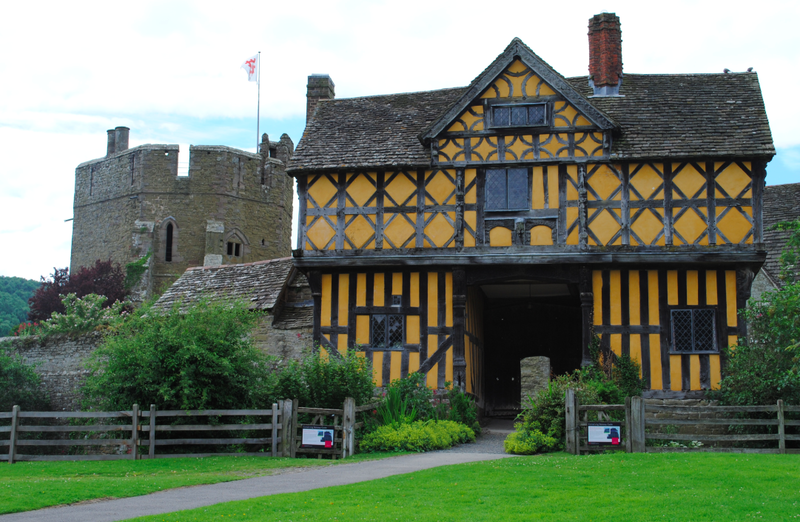 The hall at Stokesay stands on the western side of the courtyard and was built in the early 1290’s. 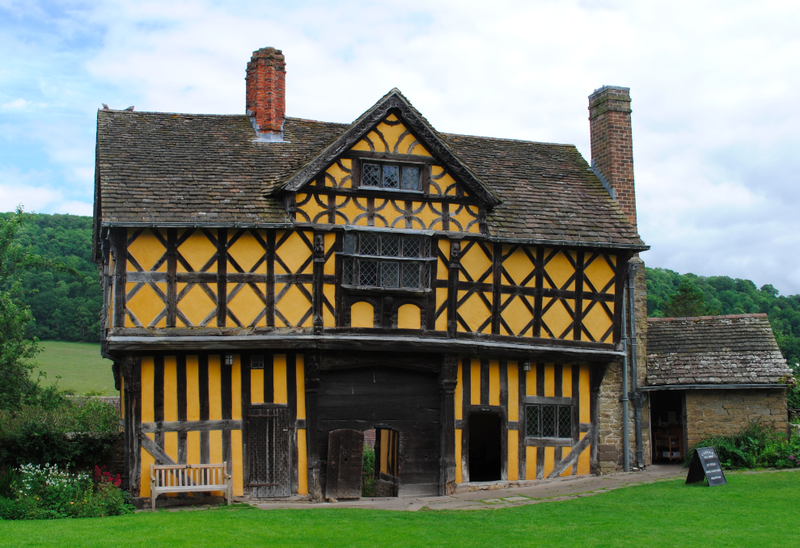 Built of sandstone rubble and retaining its extraordinary timber roof, the Great Hall at Stokesay is described as “one of the most evocative medieval halls” (Friar, 2003). 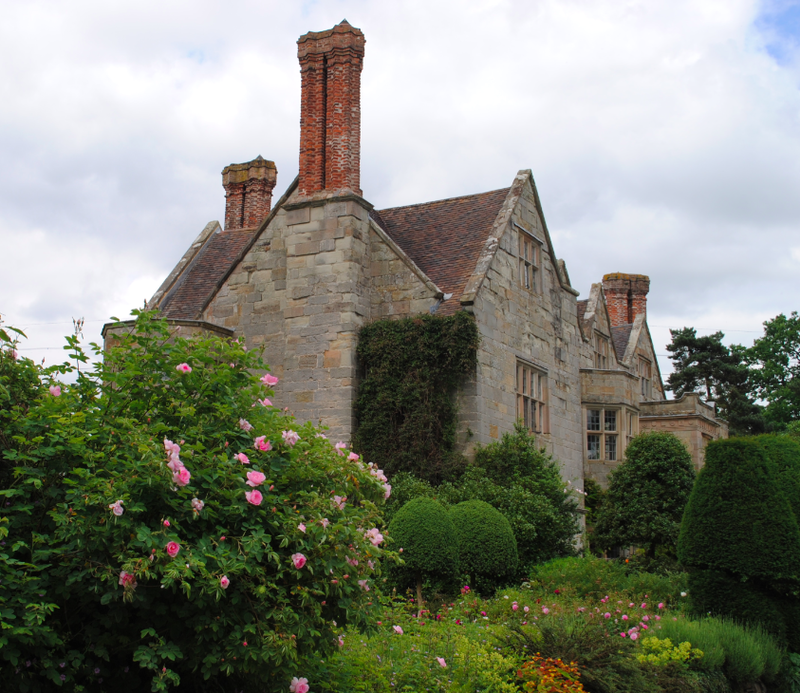 Built to replace an earlier wooden hall, it comprises four bays with separate gables above each window and the doorway. 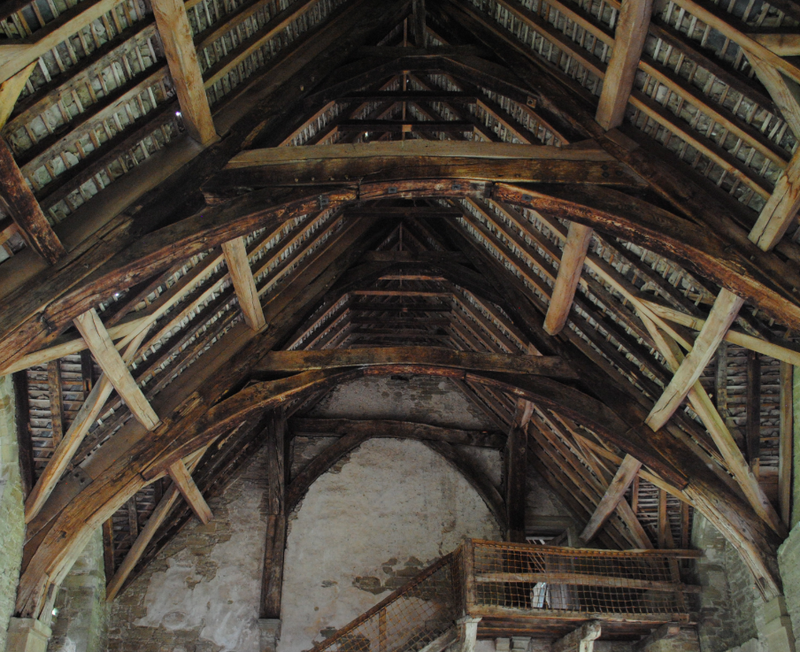 The roof was originally supported by three pairs of crucks with each pair braced by two collar beams. 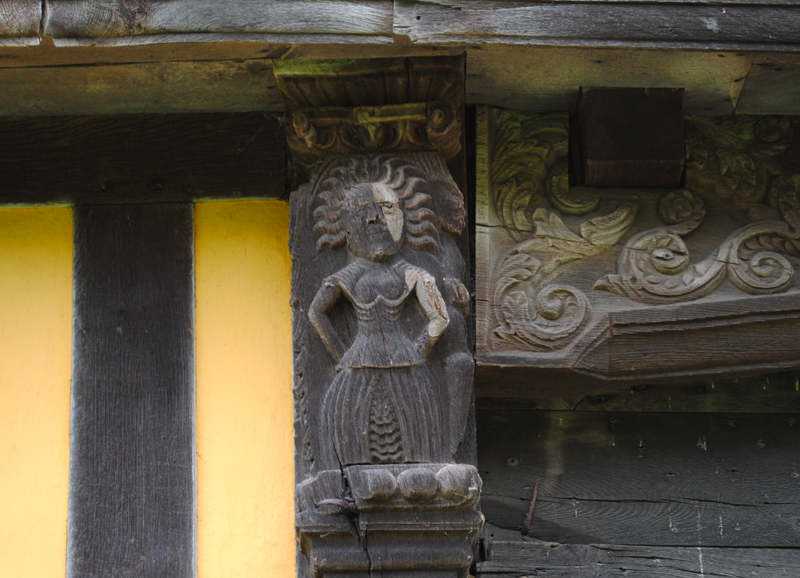 Each cruck rested on a stone corbel above the hall floor but they were replaced by stone pilasters in the 19th century. 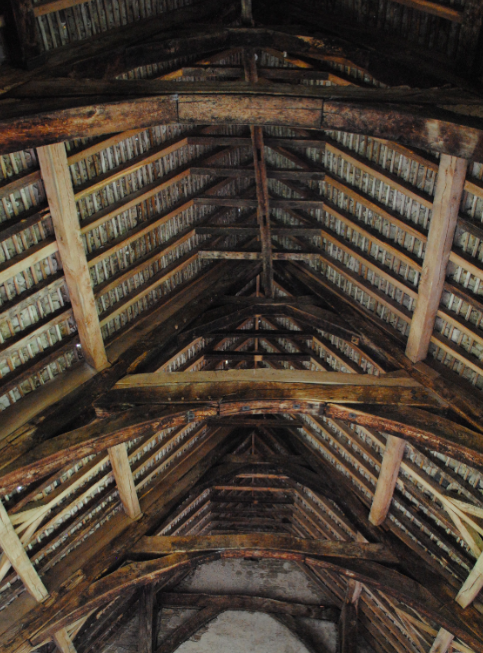 The roof is a fantastic range of raised crucks, aisled end trusses and an unusual example of collar-purlins without crown posts (vertical king or crown posts provided extra stability). 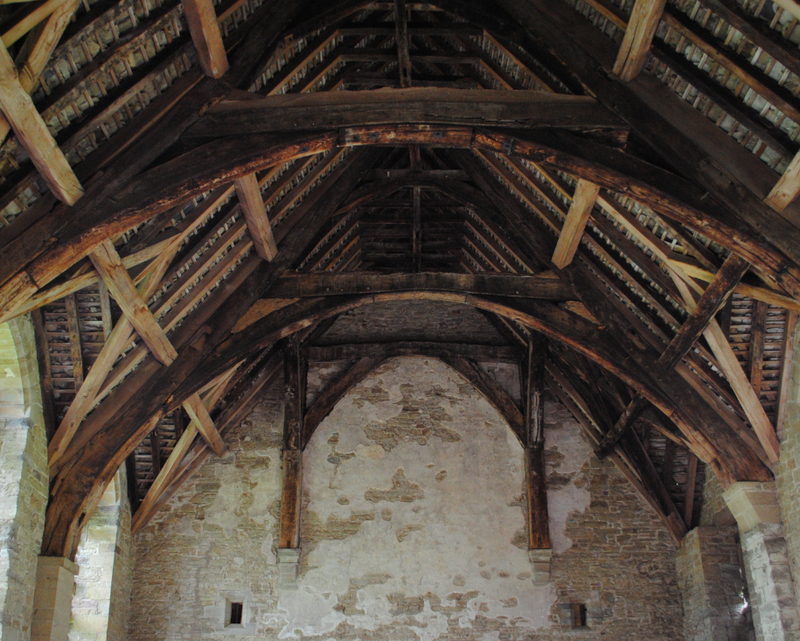 The fabulous cruck timbers cover the whole expanse of the hall and the three great wooden arches over the room are a rare survival for this period. 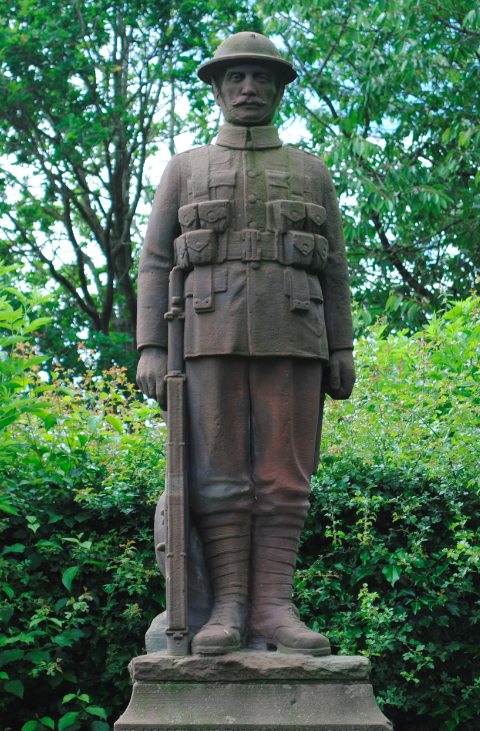 Each supported by two horizontal collars, the topmost collars are supported below by pairs of struts. 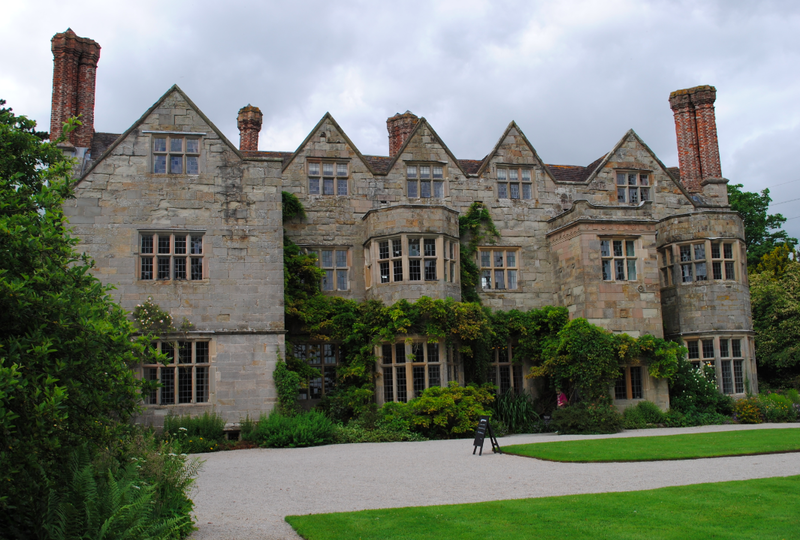 The arches are linked by purlins (the horizontal beams) which run along the side walls of the roof. 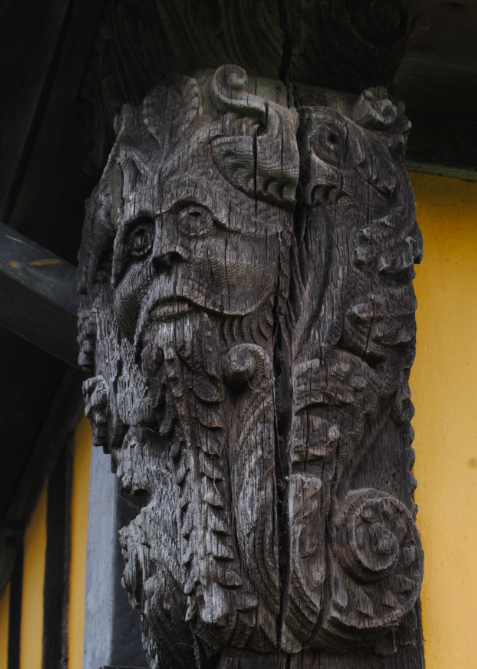 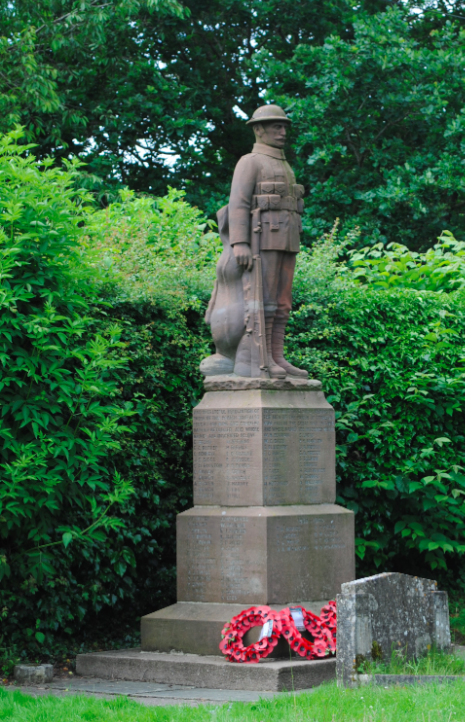 It is unknown where Laurence of Ludlow obtained his timber however, following his death some years later, his eldest son William was recorded as buying 24 oaks from the royal woods at Bushmoor and Haycrust – five miles north of Stokesay. 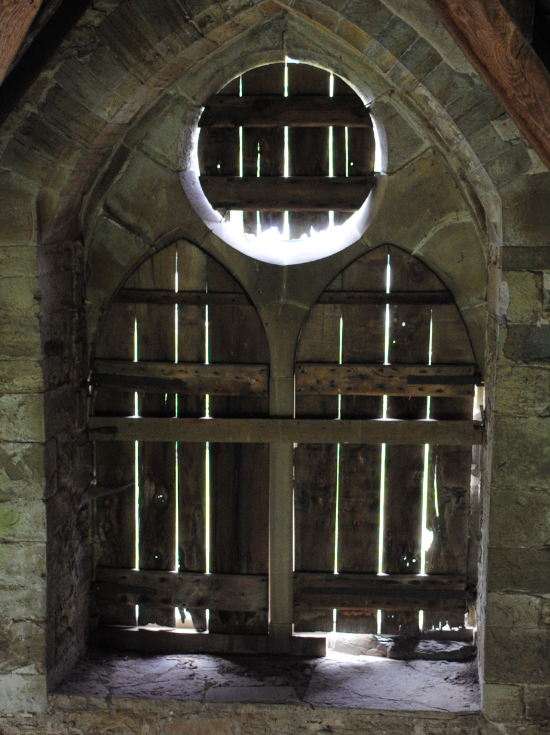 Under the supervision of the carpenter, trees were cut up where they fell and the same marks of arcs and circles are found in the north tower, hall and solar block. 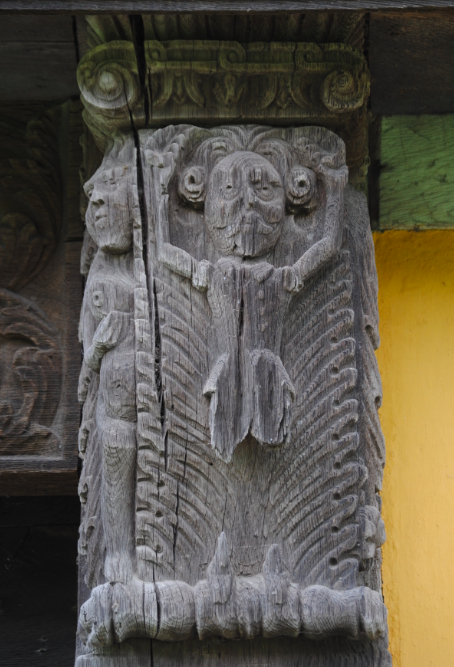 The timbers have been dated by dendrochronology to the late 1280’s and show that these buildings were erected at the same time and possibly overseen by the same carpenter. 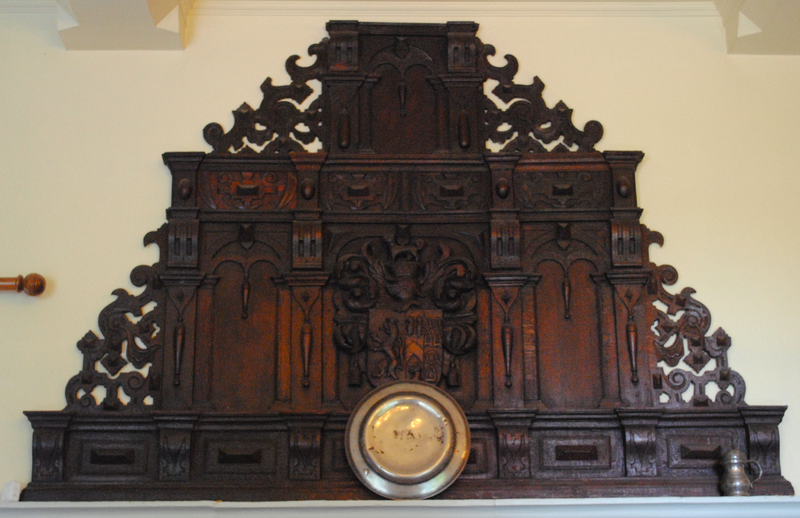 The two upper floors of the north tower are accessed from the hall via a wooden staircase (below). 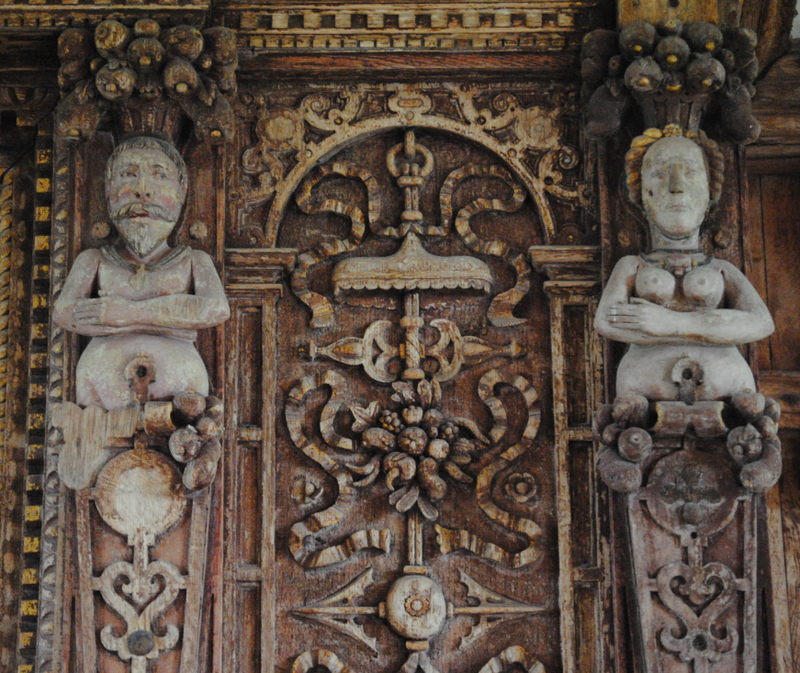 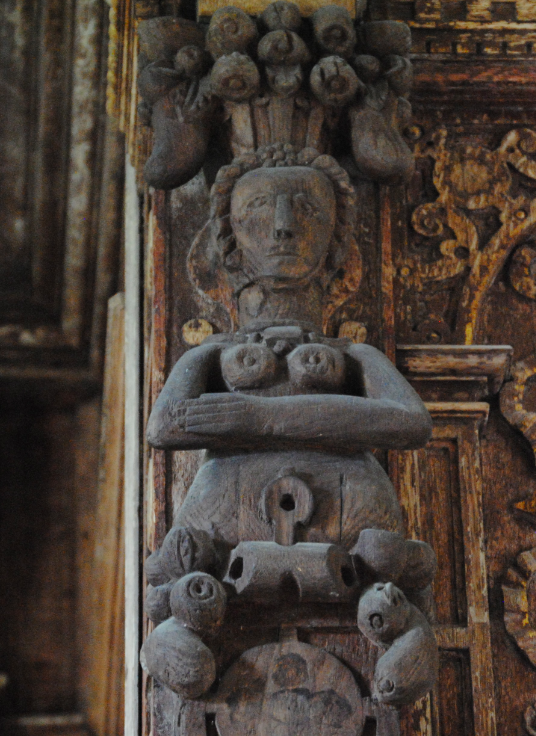 Similar to the roof, this staircase survives from the late 13th century and the same carpenter’s marks occur on both. 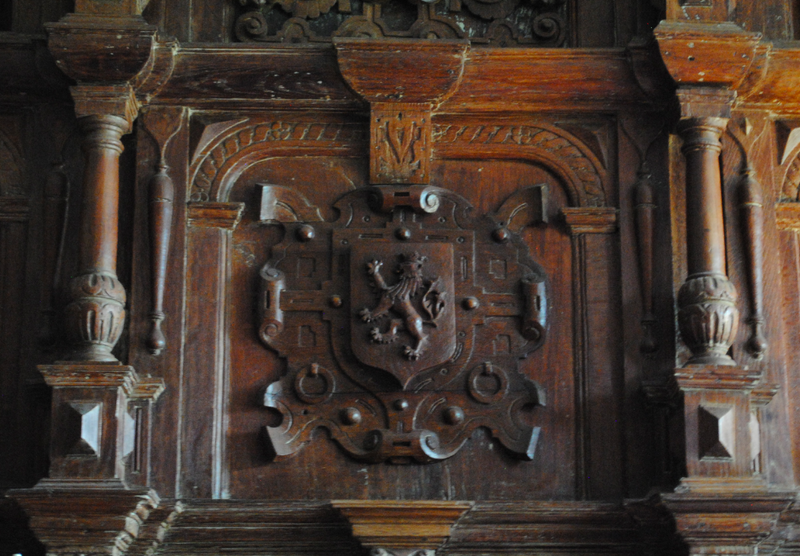 Using high quality wood, the treads of the staircase are cut from whole tree trunks and the sturdy brackets supporting the landing also date to the 1290’s (Summerson, 2009). 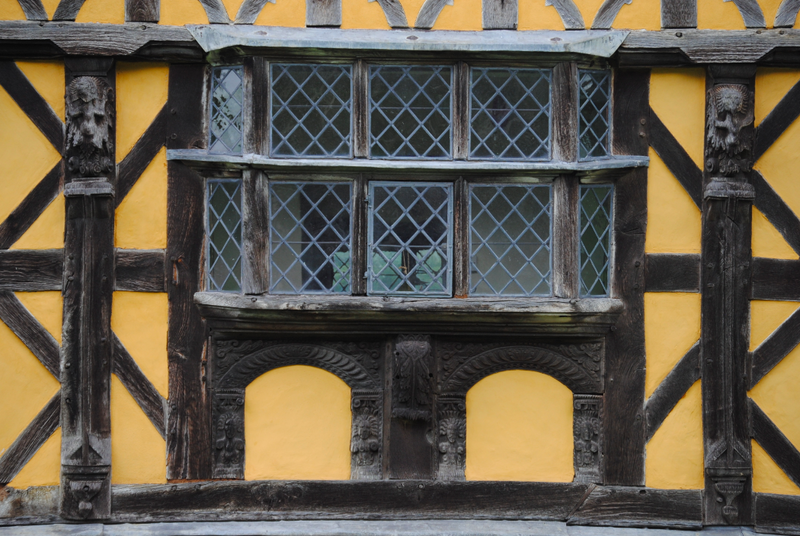 Three large windows feature on the east and west walls and as was usual in the 13th century, only the upper parts of the windows were glazed. 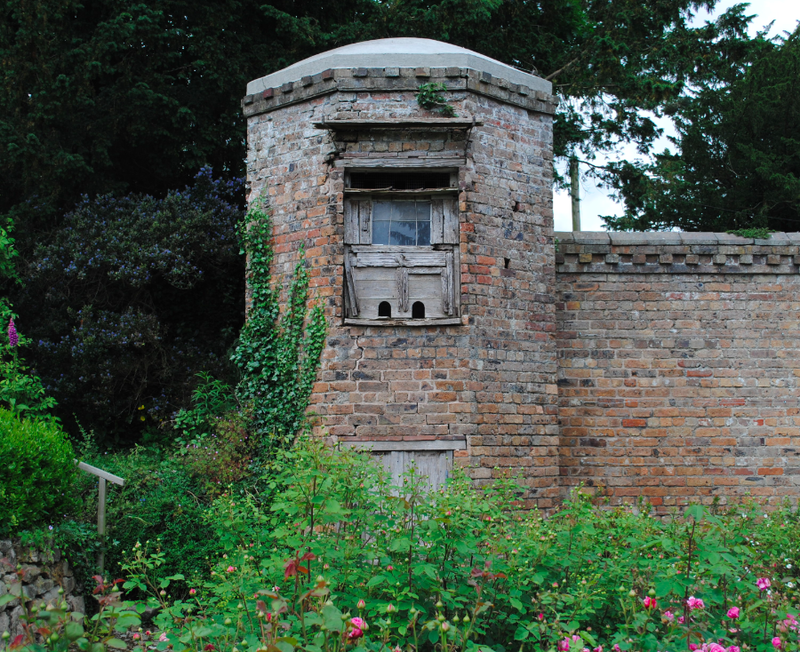 The lower levels were commonly open to the elements in fine weather and covered by wooden shutters in cold or rain. 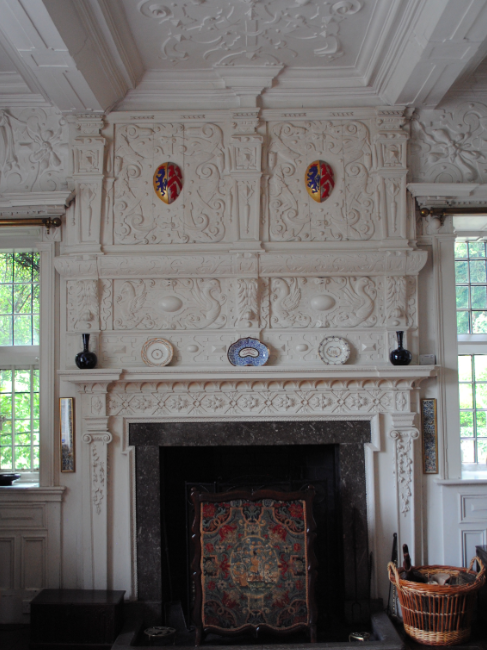 Shutters were almost invariably fitted to window openings with surfaces often painted with heraldic and other decoration. 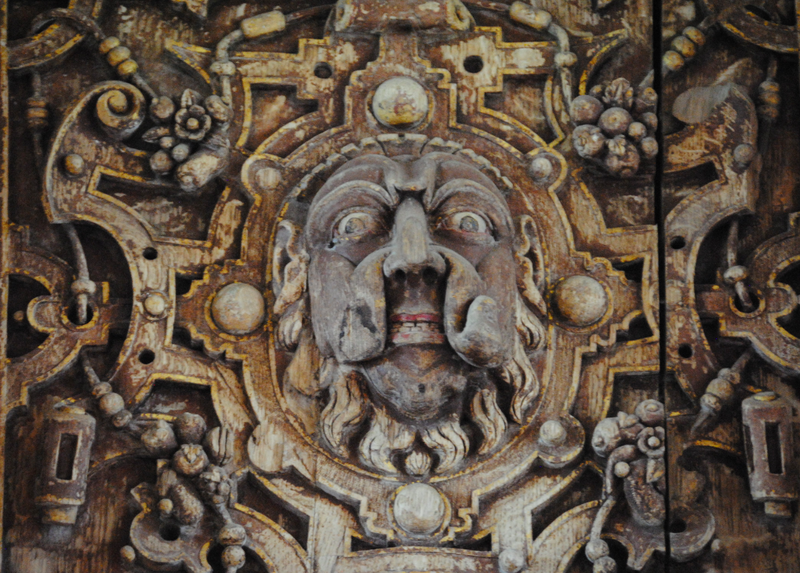 With glazing an expensive commodity, shutters were often braced like doors with pulleys and ropes used to close larger sets (Friar, 2003). 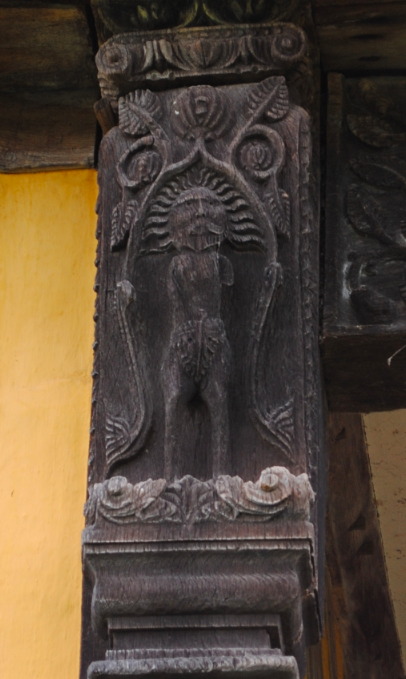 The pointed trefoil head to the lights, which was much more common during the 13th century, feature at Stokesay and the hall windows have soffit cusps – more usual for the period are cusps built as part of the chamfer of the lights (Wood, 1994).